59 Competition: Your chance to win an Onkyo TX-NR3030 AV receiver worth �2500. 60 Subscriptions: Ensure your copy every month and save money too! Rafael Todes hails Magneplanar's new loudspeakers as some of the best he's ever heard. A Scandinavian wireless Bluetooth loudspeaker impresses Jon Myles. 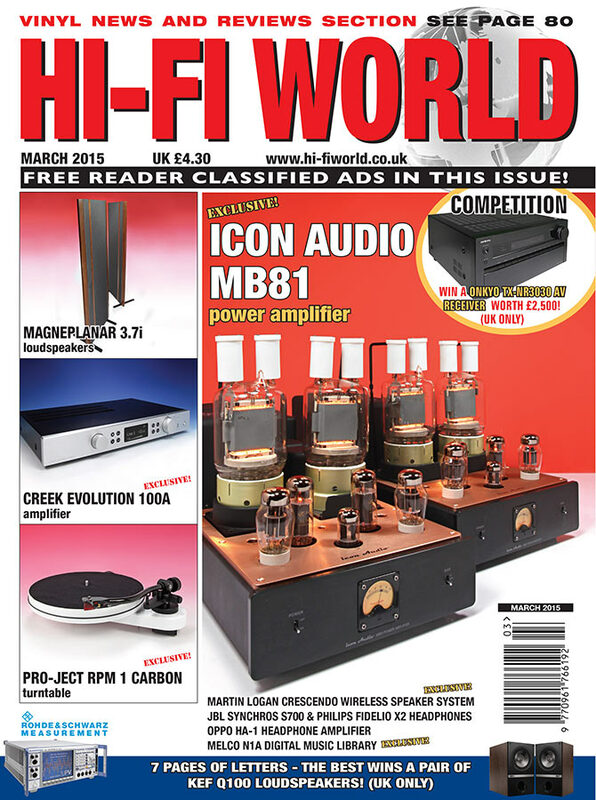 Noel Keywood lights up the room with Icon Audio's mighty MB81 power amplifiers. Oppo's new headphone amplifier has the ability to shine, finds Noel Keywood. Martin pipe tries out an innovative portable headphone amplifier from Onkyo. Jon Myles delights in the power and poise of creek's new amplifier. A new set of portable headphones are given a thorough work-out by Martin Pipe. Philips new audiophile phones are smooth and sophisticated, says Jon Myles. 80 News: All the latest and greatest vinyl releases for you, from the pen of Paul Rigby. Pro-ject's new budget turntable is taken for a spin by Noel Keywood. We chart the resurgence of vinyl. 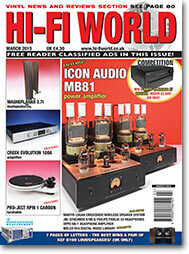 Our much-loved hi-fi world correspondent, Tony Bolton, passed away over Christmas. Martin pipe looks back at a classic cassette deck from Japan. Paul Rigby looks back at Iron Maiden's the number of the beast.